Sometimes, if you want the best solution, you have to think outside the box. In fact, sometimes it’s best if you throw the whole concept of a box away. That’s what our engineers did with the CBR650F. Traditional displacement classes went 600-750-1000. But who says you had to stick to that? 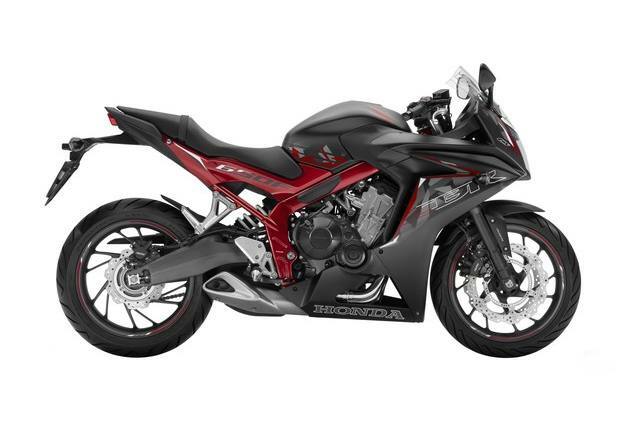 An extra 50cc is going to make the CBR650F a lot more fun for a lot more riders. It lets us fatten up the powerband, but still keep the bike light and nimble. So who cares for labels and pigeonholes anyway? Not the CBR650F. A great bike knows no limits. Especially not an extra 50cc. A Little Bit Extra, for No Extra Cost: This is a machine that offers an incredibly high fun factor while keeping real-world budgets in mind. Its ergonomics and performance will keep you excited and its price and features will keep your wallet. Great Bikes Start with Great Engines: Honda pioneered the modern inline-four layout and we’ve never looked back. With smooth running and offering terrific performance, the CBR650F’s powerplant is one of our best. 41mm Front Suspension: Our 41mm front suspension offers excellent suspension action and a comfortable ride along with precise steering and front-end feedback. Dual-Disc Brakes/Optional ABS: Here’s an area where plenty of other bikes would scrimp, but not the CBR650F. Dual 320mm front discs offer excellent stopping power under a wide range of operations. Honda’s ABS system is available for more confident stopping in challenging conditions.